During the month of March 2018 I completed my first Virtual Half Marathon and raised $547 for the American Kidney Fund (AKF). For more about my story see my Flickr post. Participating in a virtual event like this means that you can walk or run on your own time and at your own pace. For the Star Wars Virtual Half Marathon I participated in the spring of 2018, I tried to always make a 2.4mph pace or better. It took 4 hours and 16 minutes to complete over the course of a month but as I gain more strength I hope to increase that pace! One of the things that I found with the Star Wars and Journey to Jupiter virtual events was that since I had to keep track of my distance and time, it helped motivate me to get out and get my mileage in. This year I am committed to making my 100 mile (exercise) goal. ​I will start logging my miles for this in February, stay tuned! I'm going to organize another dedicated Kidney campaign during the spring of 2019. Stay tuned for details. 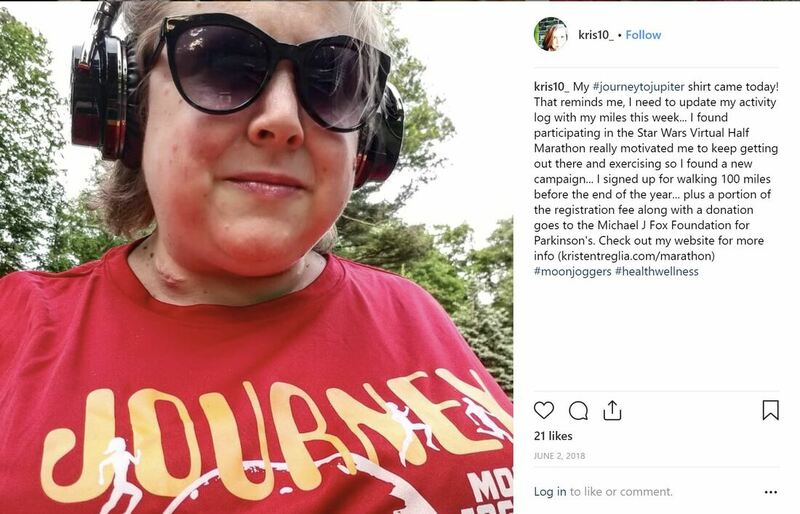 I participated in the Moon Jogger's Journey to Jupiter! I didn't meet my goal to log 100 *exercise* miles but I'm committed to meeting my goal in the current Rings of Saturn campaign. The 2018 Journey to Jupiter campaign also benefited the Michael J. Fox Foundation for Parkinson's Research. 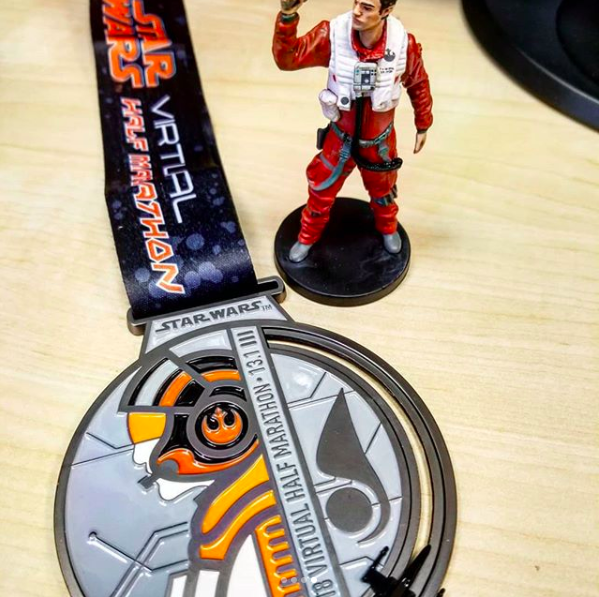 ​The first virtual campaign I participated in was the Star Wars Virtual Run during March 2018. After being released from the hospital in October 2018 and gaining enough strength, I started doing Physical Therapy with the wonderful folks at Therapy Connection in Poughkeepsie. Here's the infographic I put together with some of the exercises they taught me and some of the places I've walked.